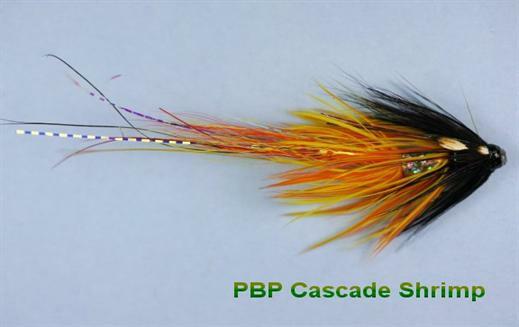 The Cascade Shrimp JC is probably the most used and successful of all of the PBP patterns. It fishes well throughout the season, in all river conditions, but really comes into its own when the water starts to rise from the cold spring temperatures. The movement in this fly is truly magical and will entice many Salmon. The bristles dancing around at the tail end just add to this fantastic pattern. Currently there are no comments about the Cascade Shrimp JC PBP fly pattern from other fly fishermen yet.